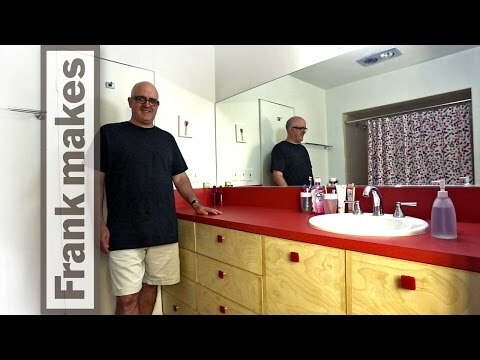 Here I am showing the final install of the cabinets and mirror in the kids’ bathroom. This is the end of the first half of a bigger project to replace the plumbing system in our house. In this video, I make the back splash and show the mirror being installed by A-1 Glass & Mirror. 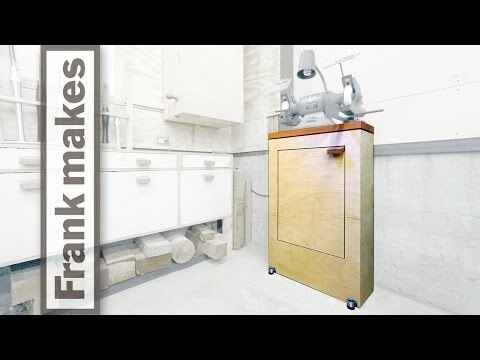 I have made a stand for my grinder that I use for sharpening my wood turning tools. The stand is a plywood box with shelves on the inside. On the top, the grinder sits on an old growth fir cap that is flush with the box. Two bolts hold the wood cap and grinder to the plywood box. On the front is a door to access the shelves inside of the box. In the bottom of the box is a space I have filled with drain rock to give weight to the bottom of the stand. 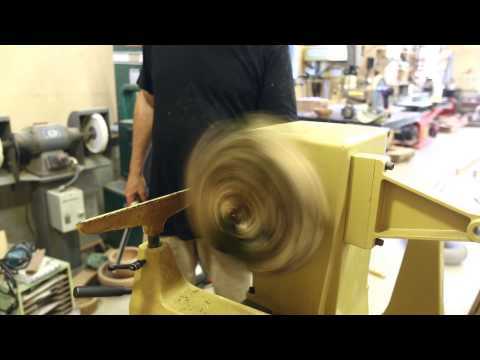 Cutting up a walnut branch and wood turning part of it into a bowl blank.